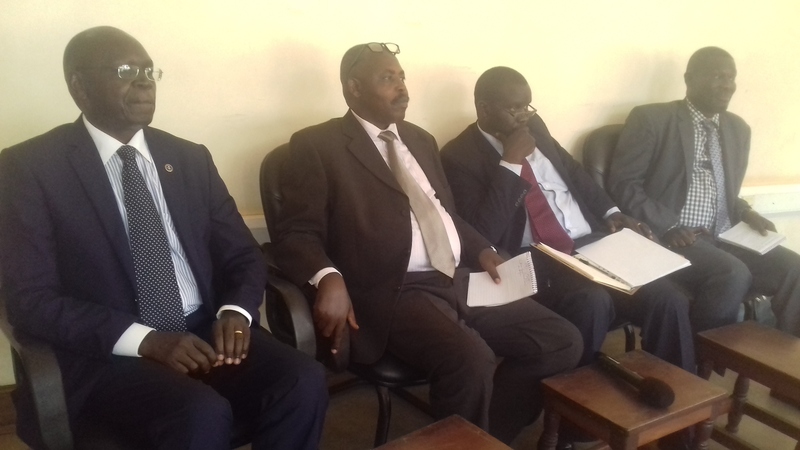 The search Committee at Gulu University has shortlisted four candidates for the position of the Varsity’s Vice Chancellor. The four made public presentations on Wednesday last weel at the Faculty of Medicine Board room where they laid out their vision and strategies to promote and develop the University. The candidates are: the University’s Deputy Vice Chancellor Prof George Openjuru Ladaa 55, Prof Paul Wako 50, founder Dean of Busitema University Faculty of Health sciences, Prof Archangel Byaruhanga Rukooko 59, a Senior Lecturer in Philosophy at Makerere University and Prof Joseph Obua, chairman National Agriculture Research Organization (NARO) governing council. Briefing journalists shortly after the public presentation, The Search Committee Chairperson Mr Gustavio Bwoch said a committee comprising of three people from senate and two from the university council begun the selection processs for the next Vice Chancellor in January this year. Mr Bwoch said nine candidates applied for the Vice Chancellor’s job but only four were selected in a ‘free and fair’ process. “We have done our parts as the search committee to shortlist the candidates. We shall forward the names to the University senate, before being passed to the council,” Mr Bwoch said. Bwoch noted that the University chancellor Prof Frederick Kayanja will in the near future appoint the new Vice Chancellor. The position of Gulu University Vice Chancellor was first advertised in May last year to replace the current Vice Chancellor Prof Jack Nyeko Pen-Mogi whose term in office was to expire on January 15 this year. Pen-Mogi was however re-appointed in November 2016 by a section of the University council members to serve a two- year contract on ground that only two out of six applicants who applied were qualified. His re-appointment stirred controversy among some university staff, students and district representatives who argued that it violated the University and Other Tertiary Institutions Act [UNOTA] given that he had served for more than 10 years. The complaints prompted the University council to re-advertise the position in March this year. Prof Pen-Mogi, 69, currently is currently serving in acting capacity until a substantive Vice chancellor is got. He has served as Gulu University Vice Chancellor since its founding in 2002.